In some of the industries we serve, Bluetooth is an excellent method of communicating wirelessly to various sensors and instruments that previously relied on wired serial connections. Using the Bluetooth Serial Port Protocol (SPP) and connecting to serial Bluetooth devices or adapters with Class 1 transmitters and external antennas, we are seeing users in the field performing reliable line-of-sight Bluetooth communications well in excess of 1000 feet (300 meters). To support this usage, we test our handhelds in similar conditions using partner-provided devices, under real world use conditions. Additionally, we custom tune our handhelds’ antennas for optimum performance. As a result, we have successfully connected and communicated with serial Bluetooth devices well beyond the typical 100 meter (300 foot range); in some cases, even up to 500 meters—that’s over 1,600 feet, or over ¼ mile! Juniper Systems has a long history of successful experience integrating and applying Bluetooth communications to our products and customer systems, so rest assured when we record a range or specification, it has been well tested and proven. On the Archer 2’s spec sheet, the Bluetooth Class—or maximum permitted transmit power—is listed as “Class 1.5.” The power class is often interpreted to refer to the Bluetooth communication’s range, but it isn’t a direct indicator of absolute communication distance between two devices. In this instance, it indicates that the manufacturer has set the transmit power output at something lower than the maximum Class 1 output of 100 mW. Popular literature often shows Bluetooth Class 1 as being up to 100 mW power output, and capable of ranges up to 100 meters, or 330 feet. However, as I’ve said above, our actual experience and testing shows a much greater range potential exists depending on how the Bluetooth devices are used. A key to understanding Bluetooth range is to remember that the range is dependent on both ends of the connection. Where two like devices may have one range, two different devices, using different Bluetooth and antennas may have significantly different results. The communications protocol can also have a significant impact on actual range; where Point-to-Point (P2P) or Object Exchange (OBEX) protocol may have one working range, and Serial Port Protocol (SPP) may have another. When we test the Bluetooth range of our devices, we test various Bluetooth protocols to confirm the distance that we can send and receive files between two like devices, and we test all orientations of the device, to ensure that it is capable of transferring data in any orientation from at least 30 meters, or 100 feet. This is well outside the common use of Bluetooth, which was actually designed to function as a “cable replacement technology” and provide short-range communications for things like computer mice, keyboards, office printers, and mobile phone earpieces. Now that you understand a little more about Bluetooth specs, you can feel confident that the Archer 2’s Bluetooth performance far outstrips what the spec might suggest. Click here to learn more about the Archer 2. Have a question about Bluetooth? Feel free to ask in the comments below. Hi Rui, I need a little more information. Would you mind calling us at 435.753.1881 so we can get a better understanding of your situation? That way we’ll be able to make sure we’re providing you with the answers you need. I am investigating ways to hear better at an auditorium with my Alera ReSound hearing aids. My aids do not have a coil but can receive Bluetooth. Are your products applicable to auditoriums and most modern hearing aids? I still have to learn exactly what my units contain. If so, what do you offer that might fit the IMAX theater in Tallahassee? I can get you size specs if you need. Hi Joseph, our handhelds haven’t been connected to hearing aids to form a complete solution as of yet, so another product would probably be best for your needs. If you have any questions, please don’t hesitate to call us at 1-435-753-1881 or contact us online here. Thank you! Bluetooth Wireless Technology, 2.1 +EDR, Class 1.5 is a modern technology for any Bluetooth device. I think that Archer 2 is the best Bluetooth device because it has ultra technology and special specialties. 1600 feet of range using Bluetooth, that’s impressive. Who said Bluetooth is a short distance protocol? Hello John Florio! Thanks for your useful post. Although I knew that Bluetooth is a great way for communicating wireless, I am really surprised with range features of 2.1 +EDR, Class 1.5” – over 1,600 feet of rang that means over ¼ mile! How do objects (such as the equipment operator) in the path between paired devices affect the range? Excellent question. Bluetooth range can be affected by the local environment greatly, and it would not be uncommon to see a 20% or more change in range performance, even in the same area, from day to day. 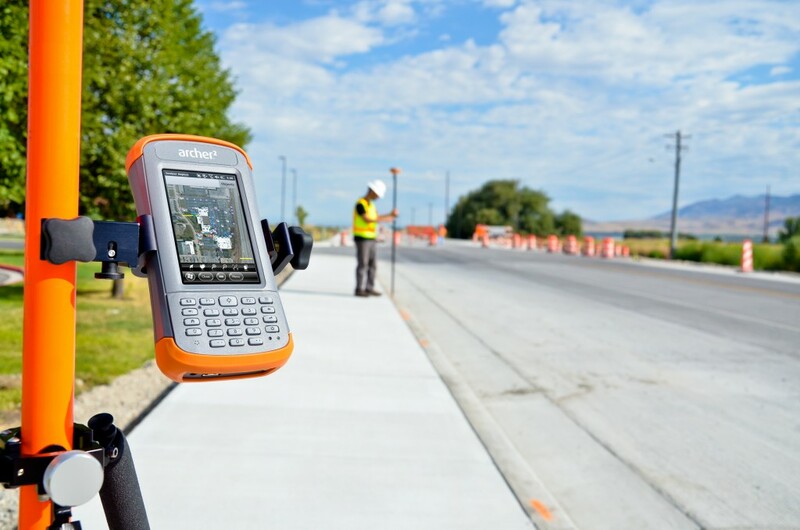 We conducted testing with robotic total stations and observed instances where we were able to get data up to 1,600 feet away. In practical use, I would lean towards a more conservative number, though we have customers reporting regular and reliable usage at ranges of 1,000 feet. Blocking the handheld with your body, or blocking the line of sight to the connected device can have a significant effect on range, by up to 25% or more. Even greater effect can be seen by changing the orientation of antennas. We designed the internal antenna topology, orientation, and tuning to provide optimal performance for the target use cases for our products. I hope that answers your question. Feel free to contact us at 435-753-1881 if you need additional help. 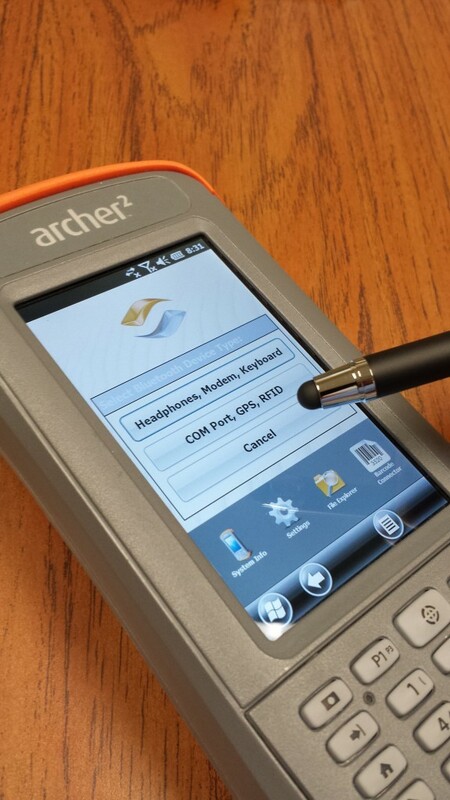 Bluetooth wireless range makes Archer 2 one of the best product of Juniper Systems. I don’t think Bluetooth can work with the above distance. Too surprised!